HomeEventsChilson Pond Fall Races, Howell, MI. 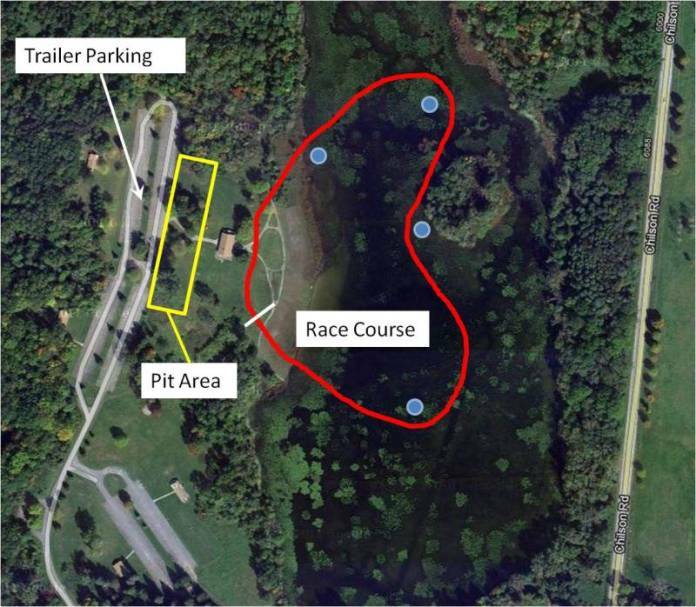 Chilson Pond Fall Races, Howell, MI. Come join the Hoverclub of America at Brighton State Recreation Area, in a thrilling day of sanctioned racing as hovercraft compete in 7 different classes to see who will become the National Hovercraft Champions in 2018. We will have sanction racing heats from noon-5pm on Saturday, and Drag racing on Sunday morning flowwed by a 25 lap Open Formula race. Racers! We need your participation. Novice racers welcome!! Click on the "Register Now" Button, to register online for the event. The race course will be approximately 1/2 mile long. Racers are also required to pay the annual $50 race license fee if they have not done so already. Novice racers are exempt from the race license fee, for their first race. Please make sure your Hoverclub membership is up to date also. Racers - be sure to review the Current Racing Regulations for Light Hovercraft if you have not raced in a while. * Racecourse closed except during published times. After the racing is over on Saturday, we will have a cookout. The cost is $10 per person. On Sunday following the Endurance race, we will present the awards for 1st, 2nd and 3rd place finishers in each class. Contact Les Melkvik if you would like to help. Thanks!! Click on the Mapquest link at the top of the page.